Vote for the Best of the East Bay 2015! Where are your favorite places to slurp noodles, bargain-shop, and get drunk? It's that time of year again to cast your ballots for Best of the East Bay! Where are your favorite places to slurp noodles, bargain-shop, and get drunk? 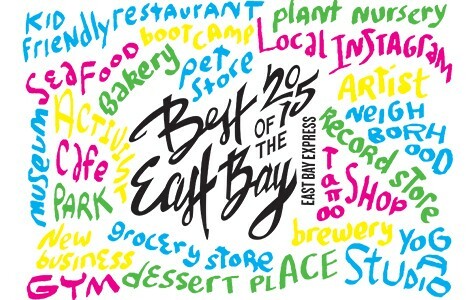 Cast your votes for our Best of the East Bay issue! Voting begins on Wednesday, June 3. Go here to cast your votes. All votes must be cast via our website. All ballots must be submitted by midnight, Sunday, July 5. Only one ballot per person. Your votes should be your own. Duplicate ballots reflecting slate voting will be discarded, as will ballots that have been influenced by gifts, discounts, or financial incentives. Valid ballots must have legitimate votes in at least ten categories. Participants may submit comments about any winner — the best of which will be compiled and published in the Best of the East Bay issue (July 22, 2015).